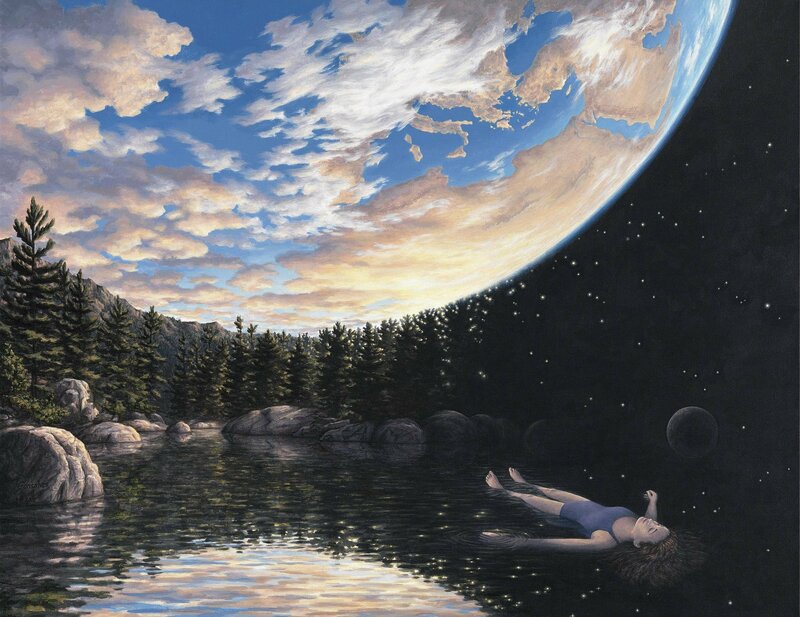 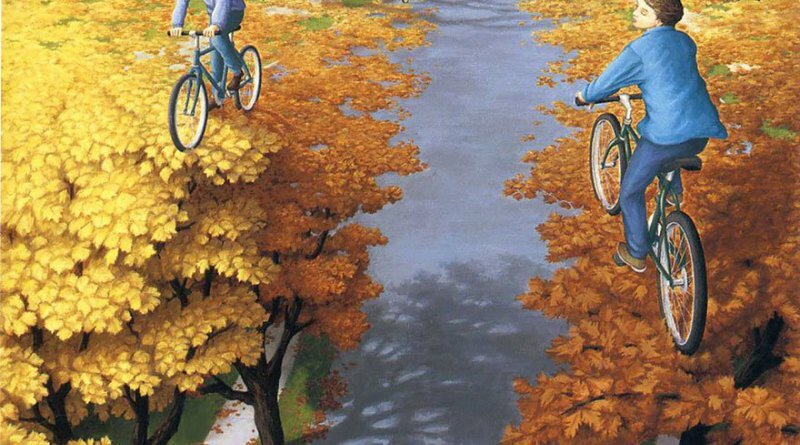 This is artist Rob Gonsalves. 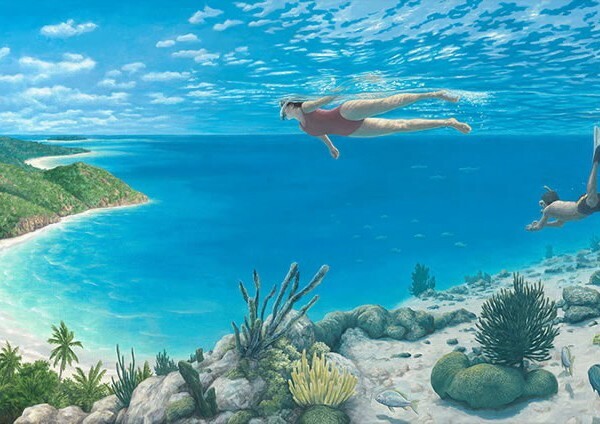 He was a Canadian painter of magic realism (surrealism). 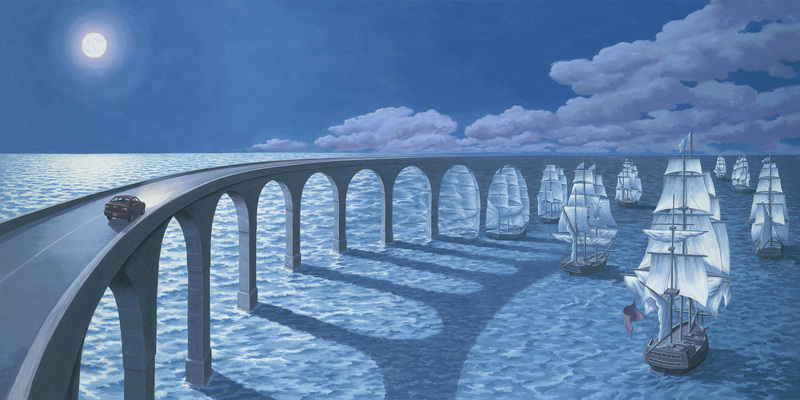 Highly influenced by the M. C. Escher school, his paintings often showed a ‘morphing’ of images and landscapes. 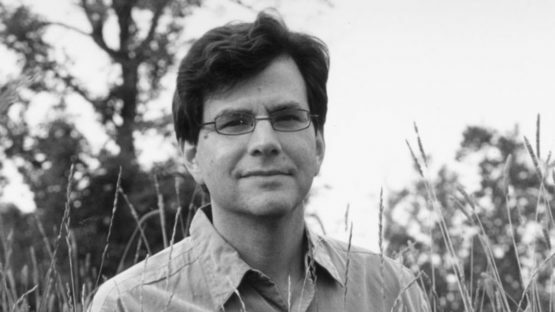 He published a few books… Imagine a Place was released in 2008 and Imagine a World in September 2015. 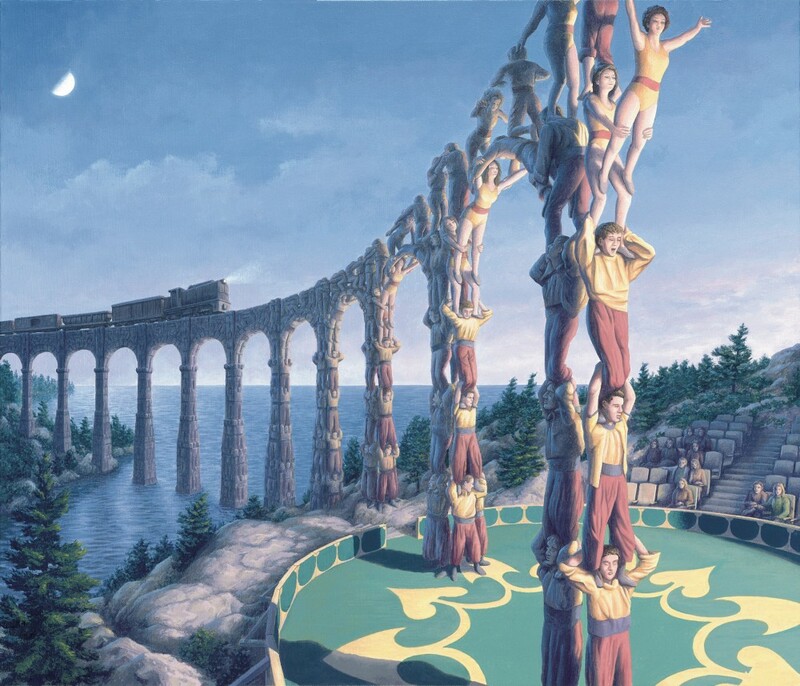 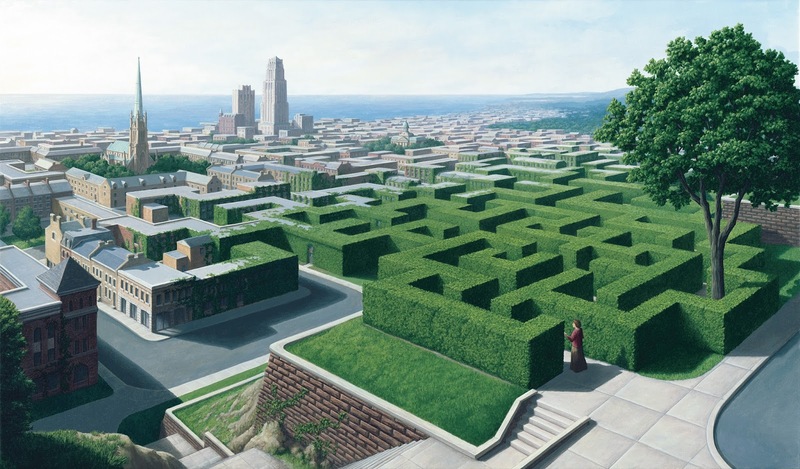 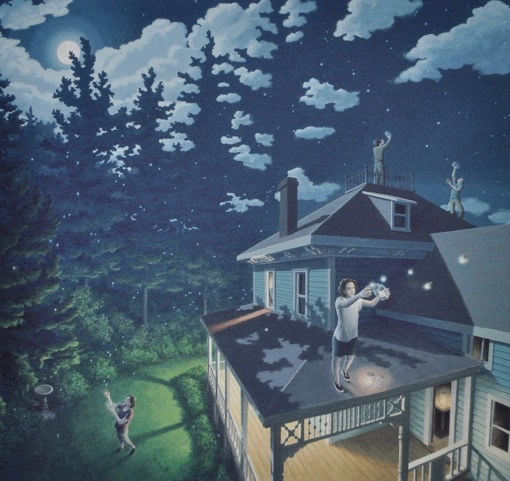 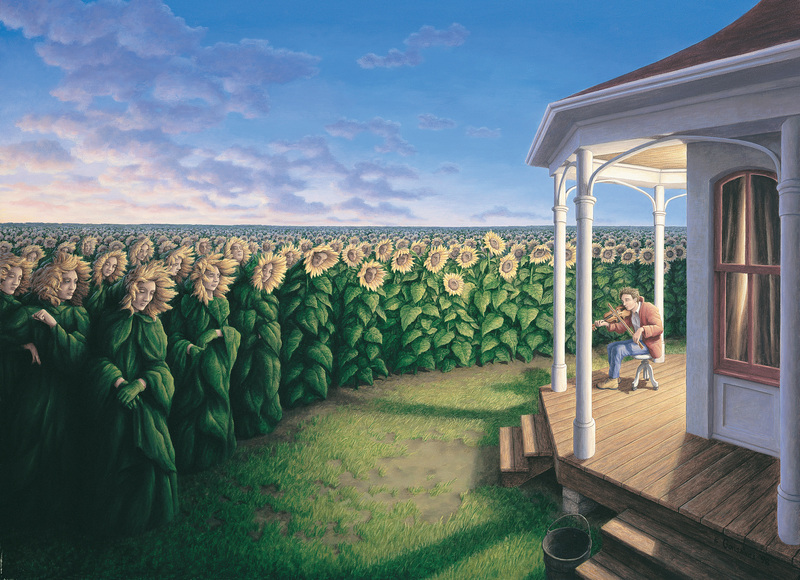 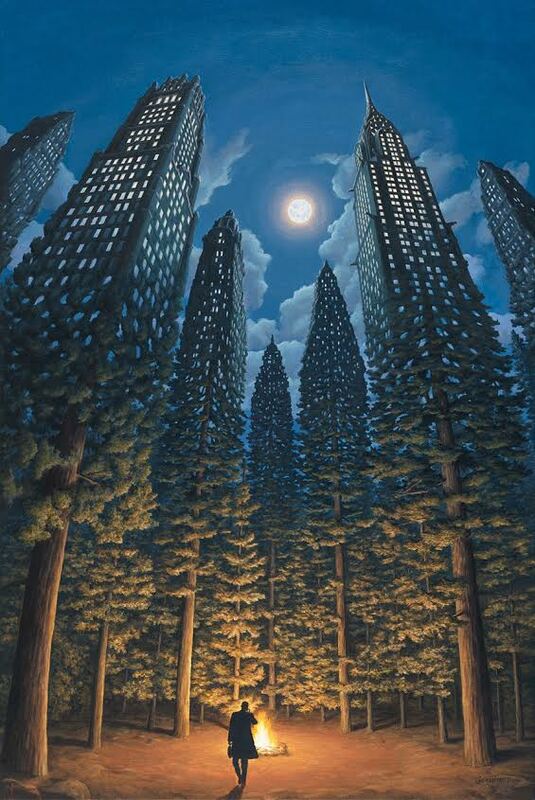 Here is a short documentary for a closer look at the artist Rob Gonsalves.